So much of business today is conducted online. 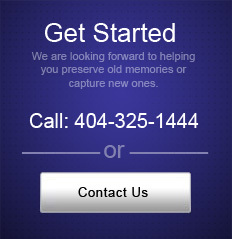 Even a brick and mortar store like us is on the web. So, we thought we would share a little about ourselves today. Meet the team at Video Impact! 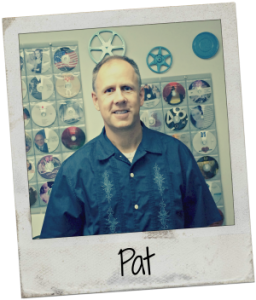 Pat has been the owner and operator of Video Impact for over 13 years. He grew up in McLean, VA and moved to Atlanta in 1991 to work for Georgia Tech. He . He loves playing basketball and is a lifelong Pittsburgh Pirates fan. Sean, our video editor, is a native of Roswell, GA and earned his degree in film and production from Georgia Southern. 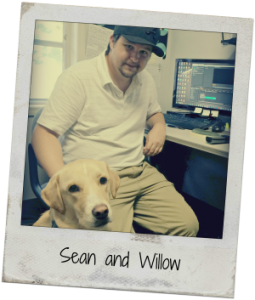 He shares his office with his dog Willow and is also an accomplished videographer and photographer. 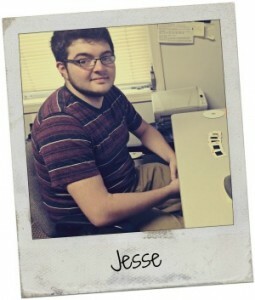 Jesse is our media technician. He processes our 35 mm slide order, photo scanning and much more!Jesse is a Tucker High School graduate and enrolled at Georgia State in the computer sciences program. He recently toured England to find out more about one of his great interests, King Arthur. Tracy, our social media coordinator, is a native Floridian. After studying Professional and Technical Writing at the University of South Florida she worked as an urban planner writing entitlement reports. Once the housing market collapsed she moved on to writing grants for the non profit sector in Jacksonville where she stumbled upon her true passion of blogging and social media marketing. Tracy recently moved to Atlanta with her husband and two young sons. Audio Cassette Tapes - Toss, Keep, or Transfer to Digital?